Urban Forestry Council Distinguished Service Award winner, Sean Gere pictured with UF Council retiring member, Bruce Allison. WUW partner, Sean Gere, was presented with the Urban Forestry Council’s Distinguished Service Award at the WAA conference in Green Bay on Feb. 21, 2017. Gere is a 7-time state champion climber, researcher/educator and owner of Gere Tree Care in Madison, Wisconsin. Gere is certified by the International Society of Arborculture, a member of the American Society of Consulting Arborists, the Tree Care Industry Association, and Wisconsin Urban Wood. Gere has always prioritized worker safety and avoiding tree injury in his work (that in turn reduces their vulnerability to insect and diseases), and this has resulted in his being asked to serve as a contractor for various university and government agency research projects over the years. Gere has traveled around the country and Puerto Rico and Mexico teaching tree safety pruning to arborists. He has made training DVDs including “The Art and Science of Practical Rigging” and “Arborists’ Knots for Climbing and Rigging.” Sean has been working with Sustainable Atwood neighbors as a consultant on the protection, preservation and promotion of the neighborhood’s urban forest. 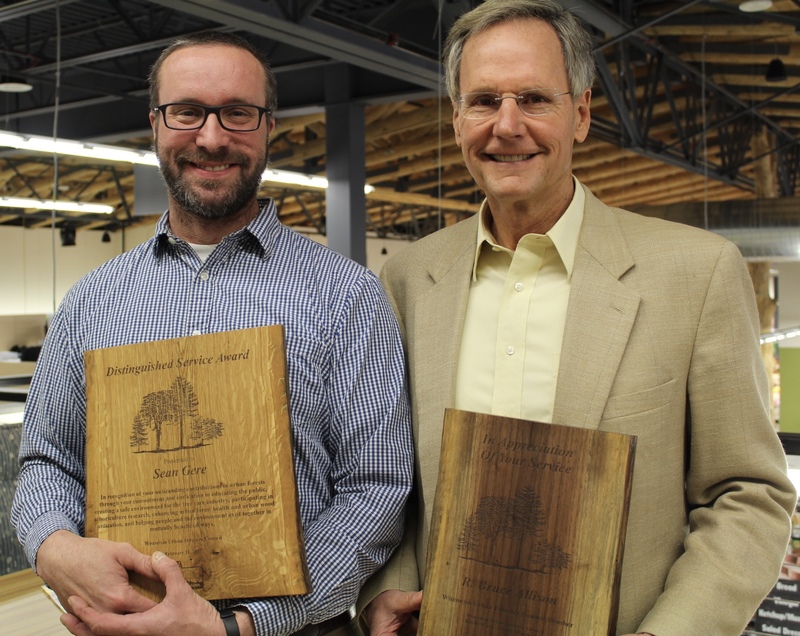 Overall, Sean Gere is an asset to urban forests with all he does to educate the public, assist with public research projects, and enhance urban forest health and urban wood utilization through his tree care business.